Hey y’all! 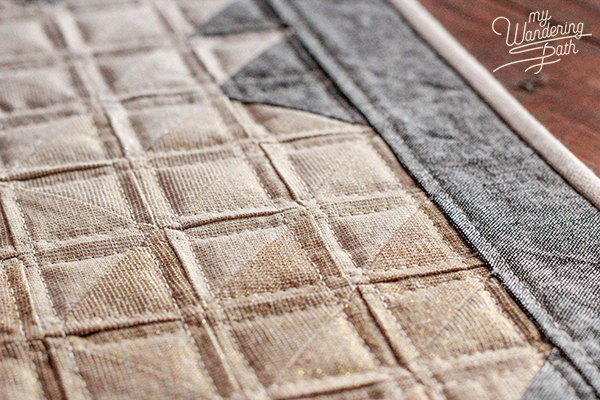 I’m so excited to get to share a little project I whipped up for Fabric.com. 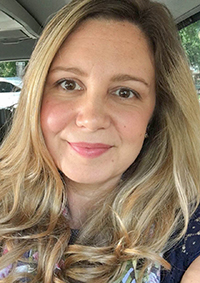 It’s featured on their website today, and I wanted to share it here as well. This project was all about the fabric, friends. 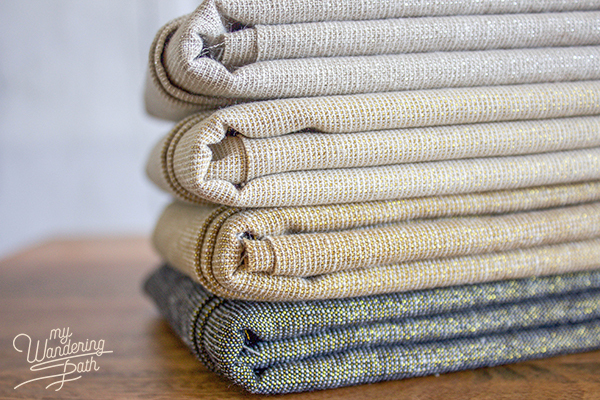 I’ve had my eye on the Essex Metallic Linen by Robert Kaufman for a while now, and I’ve just been waiting for the perfect project to showcase it. 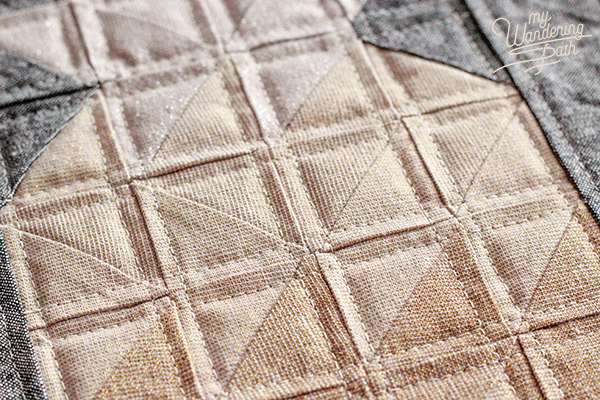 This linen is just gorgeous, y’all, and so much fun to work with. I’ve seen other makers use it for making bags and bias binding, like this awesome tote from Stitch Supply Co. I think it would also be lovely to use for a Sunday-best dress or skirt. When this fabric landed in my mailbox, I wanted to find a project that would put it on center stage, so I decided I’d make a little wall hanging with it. 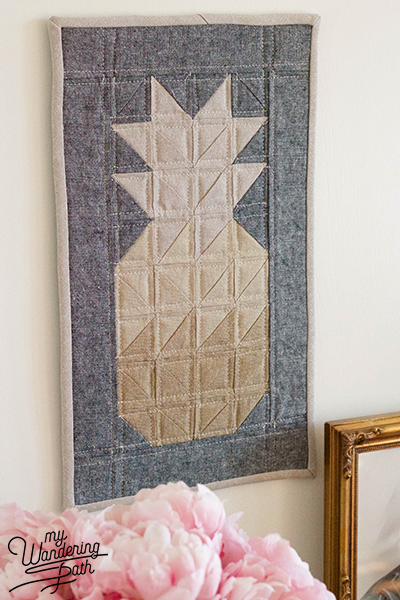 I just love the scrappy pineapple blocks and mini quilts that I keep seeing pop up in my Instagram feed! They’re so cheerful. 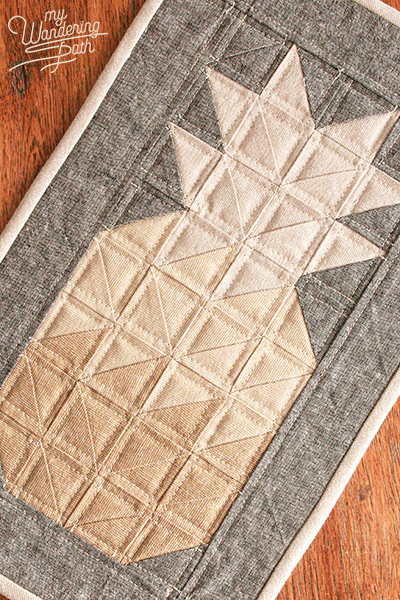 But I’ve been wanting to do a more modern take on that pineapple block, and when I got my hands on that Robert Kaufman Essex Metallic Linen, I had a light bulb moment. I saw those shimmery gold shades and knew I could make a gorgeous metallic ombre pineapple with them! 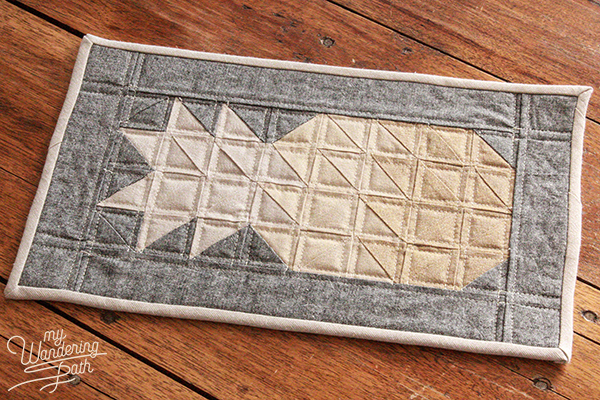 This mini pieced wall hanging has it all: a fresh, modern take on a totally on-trend design; lots of texture, thanks to the half-square triangle block construction; and just enough of the metallic fabric to make it really pop. I am so happy with how my mini pineapple wall hanging turned out! I’m especially happy because my husband has asked if he can hang it in his office. ☺ My husband is always complimentary of my craft projects, but that doesn’t mean he wants to have the stuff I make on display in his office! He’s got a cool midcentury mod thing going on in his office, so when he asked if he could have this wall hanging, I knew I’d made something that had broad appeal AND fit the modern style I was going for. So I’ll give him this one and make another to hang in our foyer! 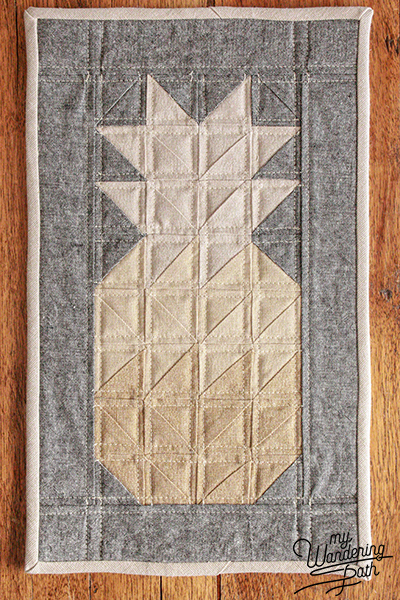 I hope you’ve enjoyed my take on the pieced pineapple block! 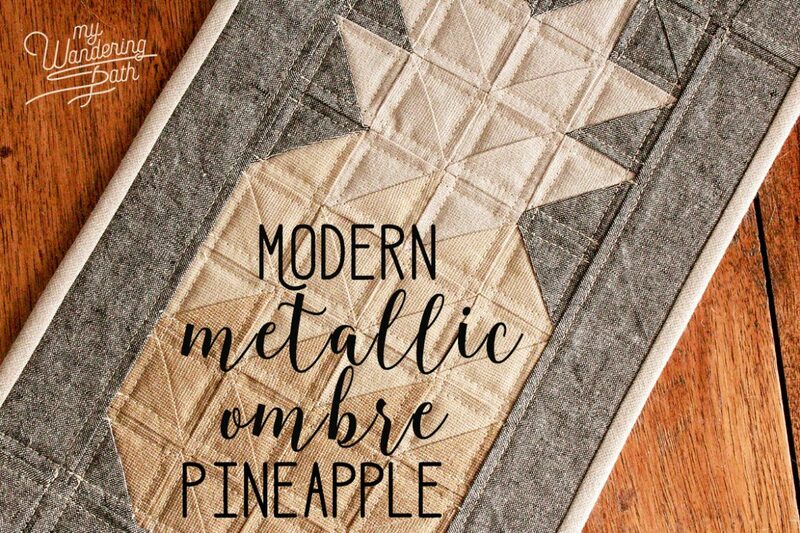 If you decide to make your modern version, be sure to tag it with #modernpineapple so I can see it!